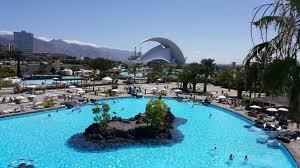 Get cheaper car hire at Fuerteventura Airport. Compare SUV, MPV & Convertible rental rates in Fuertueventura. Compare cheaper car hire rates at Fuerteventura Airport, and from depots around the island. We also have good range of SUV, MPV, minivans, estates and convertibles for you to rent, from the suppliers below, who have discounted their usual rates, if you book through us. - The companies we use include Goldcar, Atesa, Avis, Budget, Europcar, Hertz, NamCar and Thrifty. - Look for the specials from Goldcar and Hertz, where one more driver is included in the price. - Goldcar and Hertz have Zero Excess on their vehicles and if you want to save more money, look for the free GPS offer from Goldcar on their Renault Clio. Aa you would expect, there are modern rental fleets with vehicles like the Citreon Berlingo. Peugeot offer the Partner, which does sell out quickly as does the Renault Kangoo. The Smart For Two, with its easy parking and low cost to run, should also be booked early. Pay a small car rental deposit with balance payment paid locally direct to the car rental supplier. If still at the planning stage enter your car hire requirementsand save your Fuerteventura Airport online quote. 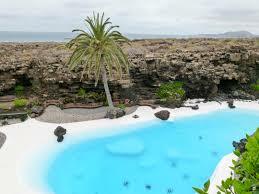 Fuerteventura is the oldest of the islands and is known locally as the Island of Eternal Spring. Fuerteventura Airport is a fairly small airport, situated about three miles away from the capital Puerto del Rosario. 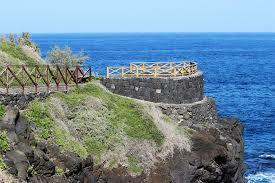 However nearly five million passengers use this as their gateway to the Canary Islands. The airport also goes by the name of El Mattoral Airport, but the IATA Airport code is still FUE. Compare lower cost vehicle hire in Fuerteventura. Rent discounted SUV & MPV with Sat Nav, at Fuerteventura Airport. Get reduced rate convertibles and minivans at FUE. Shops and cafes are scattered throughout the modern two stories. Car rental offices as is the norm are located in both arrivals and departure halls. Shopping is limited so best to buy presents, etc. before leaving your resort. Being the closest Canary Island to Africa, being just some 70 odd miles away from Morocco, it is no surprise that Fuerteventura averages 8 hours of sunshine a day. Pop across on the ferry to Playa Blance, to experience a lava landscape. Go Quad Bike Safari - Jump on your quad bike, as part of a tour group, and head off to the west coast, for a mix of volcanic land and white sand dunes. Try out hiring a kayak, and do a bit of snorkelling. However, if scuba is more you thing, then plenty to dive for. Earn your Open Water dive licence in a few days. Need a car in Lanzarote instead? Compare here for Gran Canaria.